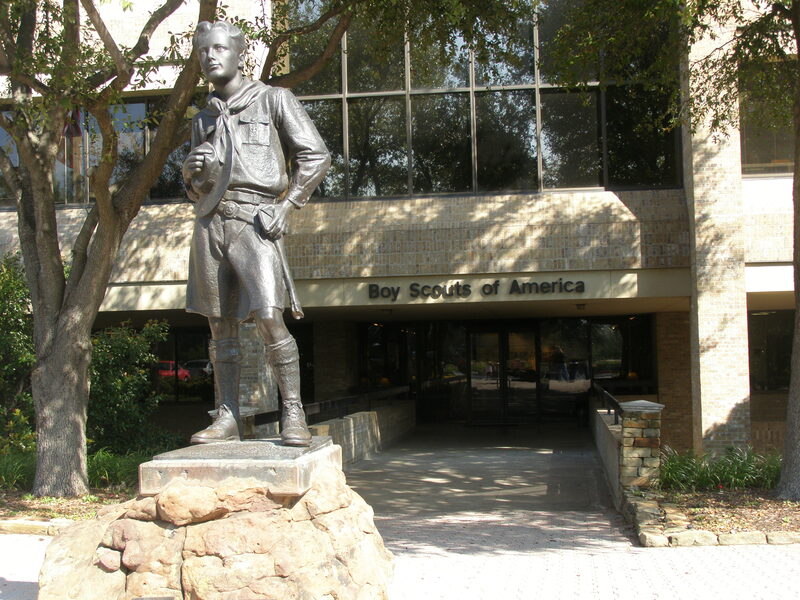 On a recent visit to the Dallas-Ft. Worth area to visit family and friends, our family had the opportunity to visit the National Scouting Museum in Irving, TX. We did not really know what to expect, but afterwards everyone acknowledged that they were pleasantly surprised at the massive facility. In addition to a comprehensive history of Boy Scouting in this country, the museum was full of terrific hands-on, interactive displays. Life size replicas of a typical scout campsite from 1910, 1950s and today are shown. (Interestingly, in one of the display cases there are several scouting gear items that are exactly like the ones I had as a boy in the 1960s–see the photo link below.) There are over 60 original Norman Rockwell pieces of artwork–the largest single collection in the county. Brad was able to complete successfully an extensive 10-question history trivia question and resulted in our troop being awarded a special yellow & gold ribbon, which is now attached to our troop flag and which it is doubtful that any other troop in Westchester County has attained. For more info on the museum, go to www.bsamuseum.org. For a look at some of our pictures, click here. 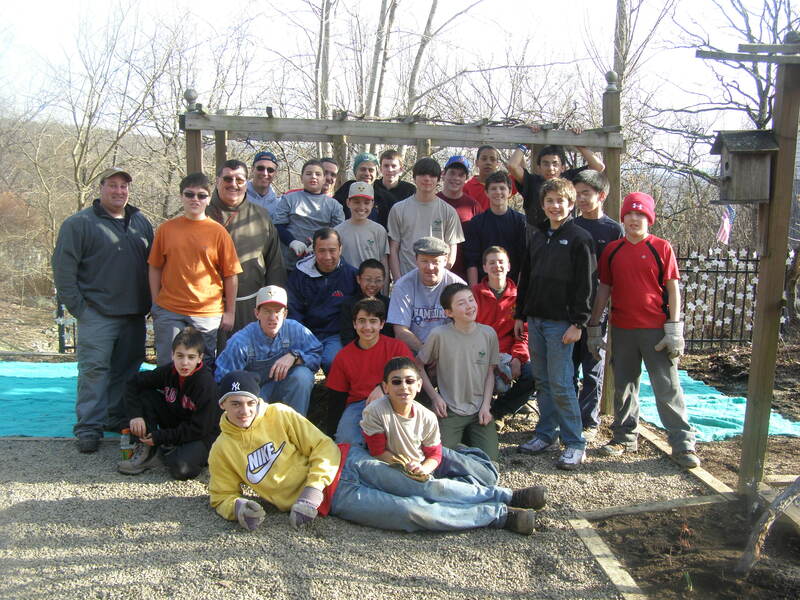 One of Troop 353’s more important Community Service projects throughout the year is the annual pilgrimage up to the Graymoor Monastery in Garrison, NY to help beautify the grounds. This year’s effort was the grandest of all with the completion of a substantial improvement and beautification of the St. Jude’s Pond and Prayer Garden area. Brother Ted Novack was extremely grateful and highly complimentary of our historic efforts and reminded the boys of the importance of their contribution again during our Sunday morning Interfaith Prayer Service. The troop’s herculean efforts drew the attention of the local Garrison Garden Club, which arrived en masse (6 carloads!) & unannounced to inspect our handiwork about 30 minutes after our completion late Saturday afternoon. Everyone was in awe of our troop’s handiwork! On Sunday morning at the Graymoor outing, all 3 patrols participated in the Iron Chef Cookoff with Brother Ted performing the role of chief guinea pig and tasting judge! The Eagle Patrol, led by the careful guidance of Troop Guide Tim DeMichiel, easily won first place with a warm and tasty special raisin & lime pancake, garnished with apples that included all of the required special ingredients! A special award was presented to the Eagle Patrol that Sunday night. The Tiny Insects and Mustang Patrols came in 2nd & 3rd, respectively, owing to their less than ambitious offer of lukewarm oatmeal. The previous night, the Scoutmaster attempted his hand at preparing a special apple & raisin dumpling dessert in 2 large dutch ovens, topped with whip cream–though the bottom crust was overcooked, scouts were asking for a second helping! For some great photos from the trip, click here.